Typically, around this time of year, sea surface temperatures in the Atlantic reach their warmest levels for the summer. At the same time, wind shear across much of the tropical Atlantic ebbs, leading to an outbreak of tropical activity. Rarely is the outbreak so furious as the current explosion of three hurricanes in the Atlantic Ocean with the possibility of a fourth tropical storm developing in the Gulf of Mexico this week. Of most immediate concern is Hurricane Florence, which has rapidly strengthened overnight and now presents a rare and substantial threat to the Carolinas and beyond due to high winds, storm surge and, for much of the US East Coast, the potential for extremely heavy rainfall. In the Atlantic hurricane record, which goes back about 150 years and has limited reliability before 1950, there have just been 11 years (including this one) in which there have been three hurricanes active in the Atlantic basin, which includes the Caribbean Sea and Gulf of Mexico. 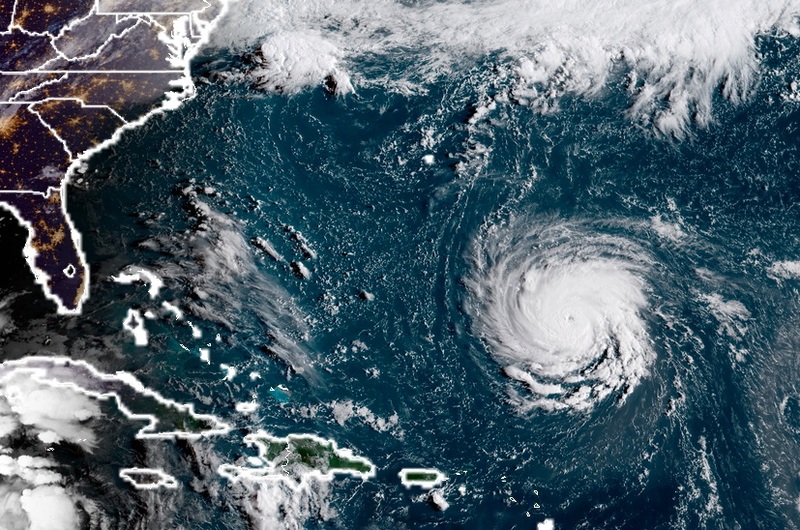 Just twice, in 1893 and 1998, have four hurricanes been active at once, according to Colorado State University hurricane scientist Phil Klotzbach.